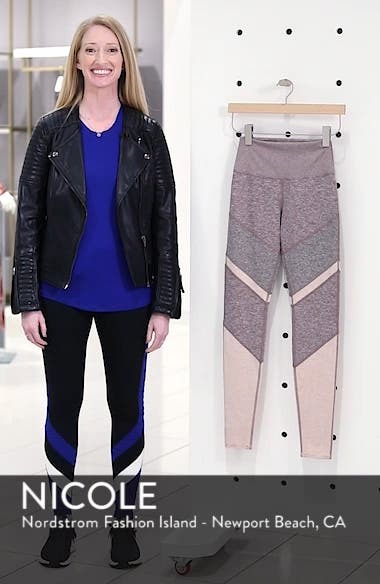 Color-blocked panels pattern modern workout leggings cut from Alosoft fabric with figure-flattering seams and a hidden waistband pocket. Choose a sizeXXS=00-0, XS=0-2, S=4-6, M=8-10, L=12-14, XL=16-18. Mid rise.